Larry Cohen is the subject of the brilliant new documentary by Steve Mitchell - KING COHEN: THE WILD WORLD OF FILMMAKER LARRY COHEN. A true independent and maverick, Cohen got his start in television creating the Western series Branded (1965-66) and the sci-fi series The Invaders (1967-8), and writing episodes of series such as The Fugitive and The Defenders. 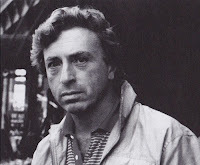 Making his feature directing debut with the dark comedy BONE (1972), Cohen established himself as a filmmaker able to craft wildly entertaining, challenging, socially satirical films on tight budgets, in an array of genres. 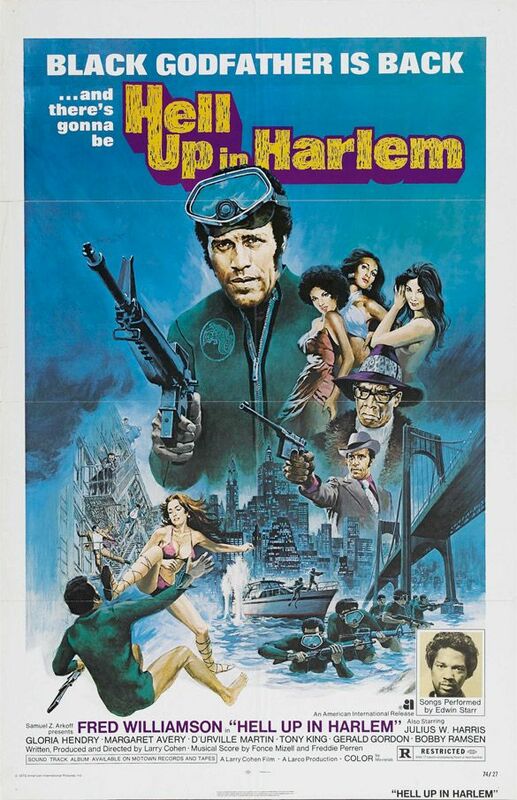 His incredible filmography, which has inspired other filmmakers like Martin Scorsese, J.J. Abrams, John Landis and Joe Dante (all of whom are interviewed in KING COHEN), includes the blaxploitation gangster pic BLACK CAESAR (1973), the monster movie/ drama IT'S ALIVE (1974) and its two sequels, the extraordinary GOD TOLD ME TO (1976), the historical drama THE PRIVATE FILES OF J. EDGAR HOOVER (1977), the monster movie/ heist thriller/ drama Q - THE WINGED SERPENT (1982), the satirical horror film THE STUFF (1985), the horror comedy THE AMBULANCE (1990), and the screenplays for PHONE BOOTH (2002), BEST SELLER (1987), GUILTY AS SIN (1993), BODY SNATCHERS (1993), CELLULAR (2004) and MANIAC COP (1988). In the final part of a three-part interview I spoke with Cohen about the pros and cons of modern filmmaking and release strategies, his plans for returning to directing, and how he feels about the films other directors have made from his scripts and the new KING COHEN documentary. How do you feel about modern films, and the way filmmakers can make films very easily and cheaply with the technology we have? They get to make the movies, but you have to suffer through watching them. Most of the movies are not very good. I would hate to be a person that sits there at a film festival and has to watch 500 movies and judge which ones are going to be accepted. Imagine what that must be like. Film festivals used to get 50 to 75 submissions and now it can be up to 800, and most of them are not even watchable. Even films that win awards nowadays don't necessarily get distributed. What would your advice to aspiring filmmakers be? Well, first of all, you have to have a good story to tell. Sometimes I think filmmakers start too soon. They haven't got the story or the beats worked out yet, and they haven't trimmed the script down to a point where it moves along. They get the money so they just start shooting. Then they try to fix the movie in the editing room, which is very hard to do if the story doesn't work. They are also in a hurry to get the movie shown, so even if the movie could have done with another couple of months in the editing room, they go out and show the picture, and the film is a fragment of what it could have been. Sometimes they run out of money, so they have no choice but to to show the picture. How do you feel about directors having indie success and then going on to do huge blockbusters? It seems most of these films turn out okay because these blockbusters are huge collaborations. The director is part of a committe and doesn't direct all the big effects or action scenes. They're being done by four or five different companies with dozens and dozens of technicians. I just saw CARS 3 (2017) and the end titles were almost 15 minutes long. Everybody in the world worked on that picture! You haven't directed since your episode of the TV series Masters of Horror in 2006. Are you itching to direct again? Not necessarily. I enjoy writing, but I would like to direct again sometime. The reason I don't really direct films naymore is that you can't be sure you're going to get a theatrical release. They grab the picture and then stick it on Netflix or Amazon, and you don't get to see it with an audience in a big theater with a thousand people. Those kinds of openings are reserved for the $250 million movies. Most multiplexes show the same films on six different screens with one movie on another screen that nobody goes to see. I've been to films where I was the only one there. I want a decent release for my films. And nowadays soon after a film is shown on VOD, it's available to download illegally on the Internet. I wrote a film that was shot in Canada (MESSAGES DELETED), and before the film was even released someone put it on the Internet and the producers lost the $4 million they'd invested in the film. If that happens to me on a movie I direct, I'm done. I can't handle it on the budgets I have. I don't want to take a chance on the time I spend making a movie and on the money my investors put into the movie. It's so dangerous making movies now. And like I say, 90% of the time you're not going to get the theatrical release that you want. It's not the same as it was when I was making films like BONE or GOD TOLD ME TO or IT''S ALIVE or BLACK CAESAR. Of all of my films, seven of them went into profit (even J. EDGAR HOOVER), but nowadays it's very hard for your movie to go into profit because the advertising costs are so phenomenal. Big studios will spend $30 million on advertising. How can you compete with that? It's like a poker game where the stakes have been raised so high that you can't afford to sit down at the table. And of course if you don't advertise your movie, nobody will come. I'm glad I came along when I did in the 70s when the business wasn't so tough and your pictures could get seen. Even some relatively big movies don't get played in certain cities or locations. That's right. My friend John Landis spent a year making a film called BURKE AND HARE (2010). I saw it on Showtime, and a little later I saw him on the street and I said ''Oh, I really enjoyed your movie'' and he said ''Where did you see it?'' I said ''It was on Showtime the other night'. ' He almost collapsed because he was waiting for the film to open theatrically. Nobody told him that they had sold the picture to Showtime. It was disgraceful. John had made some very successful, big movies and deserved more respect than that. You've written a lot of scripts that you didn't direct. How precious are you about giving up your scripts to other directors? It depends on who's doing the movie. I've been disappointed in 80% of the movies that were made from my scripts. Even PHONE BOOTH. It was a hit and got me a lot of attention, and I was glad it was made, and to collect a huge fee for the script and tremendous residuals but at the same time I thought I could have made a better picture. 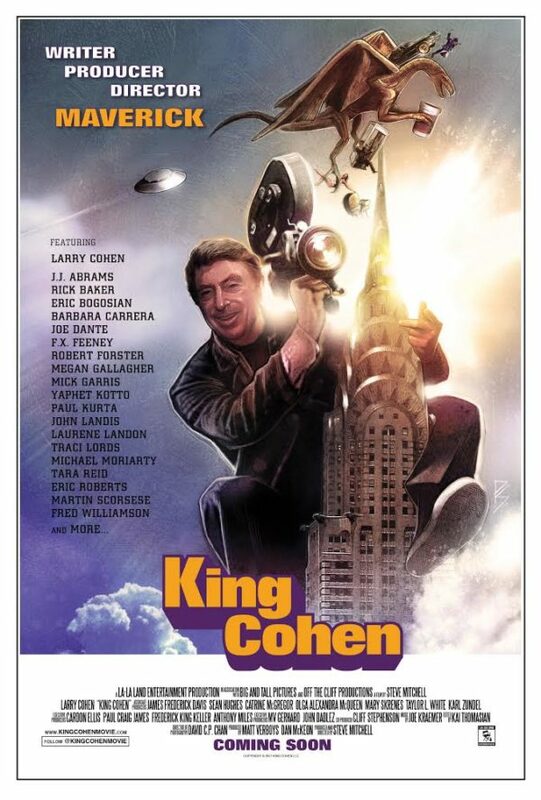 How happy are you with the new documentary KING COHEN? They have Martin Scorsese and J.J. Abrams and a great line-up of people in it. I wasn't directly involved with it. I let them do what they wanted to do, and I am reasonably pleased with it. KING COHEN will be released in cinemas and on VOD later in the year, and will be screened at Fright Fest in London on August 25 and at the Sitges International Film Festival in October.